"DGM are 110% reliable and professional. They always show up on time and do absolutely stunning work. My garden has never looked better!" 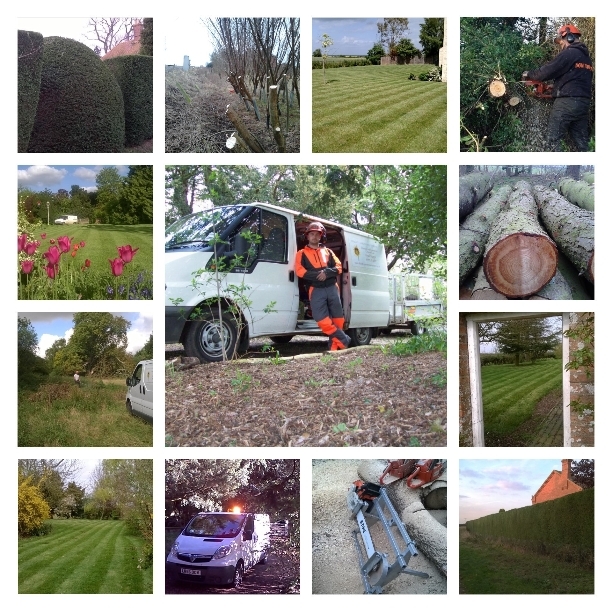 "DGM continue to provide us with an excellent grounds maintenance service. They are reliable, conscientious, professional, always complete work to a high standard and offer excellent customer service. We know we can always rely on them to do a first rate job and have recommended their services to several of our colleagues." "Thank you for a superb job on our monster of a Leylandii hedge. The hedge now looks neat and tidy again, and thank you for the excellent job of clearing everything away afterwards. Will definitely be recommending your services." "Very professional tree pruning service provided: good value and took great care and time despite the weather! Highly recommend to others!!" "DGM has proved to have been a very reliable and valuable service. They are responsive to additional requirements and requests over and above what was agreed. Would definitely recommend!" "Our Organisation has waited a long time to smarten its frontage up, I am delighted that we chose DGM to carry out the work. They always turned up when they said they would, did an excellent job and were extremely pleasant to deal with. I would have no hesitation in recommending this company to anyone." "Swift response, thorough and professional service. Very happy with the work carried out removing a very large tree from our property. Paid particular attention to tidying up, leaving no trace of tree debris. Very reasonably priced, great value for money. Highly recommended. Thank you." "We are absolutely delighted with the fantastic work carried out by DGM on our trees and hedges. Very impressed by the professionalism and attention to detail and how hard they worked, regardless of the weather. Our hedges have never been so much admired. Will definitely be recommending DGM." "DGM have just spent 4 hard days trying to knock my garden into shape and they have done a splendid job. the daylight now reaches the left hand side of the garden after they halved the size of a row of conifers , rescued an outbuilding from a huge covering of ivy and the rest now looks like a garden that is on its way to looking how I want it. Some tree pruning in the early part of 2015 will be one step further and then I can concentrate on my plans to make it my garden thank you." "Professional, reliable and hardworking. DGM repaired, replaced and restored areas of our large garden that needed attention, which is used for vigorous outdoor play by the children at Kidzone. All work was completed on time and to a high standard. We would have no hesitation using them again or recommending their services to others." "Doughty Garden Maintenance (DGM) recently carried out some work at Billinghay Medical Practice which included tidying the surrounds, spraying and removing weeds and pruning the trees at the entrance of the Practice and the removal of all waste. Andy from DGM came to discuss our requirements and provided good advice on the work needed to minimise costs and any future problems. The quote was very competitive especially as the work need to be carried out at the weekend to not impact on patients and staff of the Practice. First Impressions on Monday morning was excellent. The car park feels much lighter and visibility when exiting is vastly improved. He had also left an email explaining what had been done and what to expect over the next 7-10 days from the spraying of the weeds. An excellent job, carried out very professionally. I have no hesitation recommending DGM and will definitely call upon them in the future. "I have hired DGM for two jobs in the last few weeks. The first piece of work was cutting down and removing a tree that had been poorly sited by a previous owner of my property and that would have become a problem in the coming years. More recently, DGM removed a troublesome hedge that was encroaching onto my driveway and making parking an issue. Despite the fact that I wasn’t present for either of these jobs, they were done to the highest professional standards, and both areas in question looked utterly immaculate on completion. I will hire DGM again without hesitation for any work of this kind in the future and I’m happy to recommend them. They are quick, efficient, extremely professional, good value for money and they do the work when they say they will." "Many thanks to Andy of DGM Garden Maintenance for the excellent work in our garden. We recently purchased a house with a sizeable front and rear garden that had not been maintained for several months. Andy advised us on the way to get the best results from the garden and quoted to crown reduce and prune a lovely apple tree, trim and clear the fence line hedges and flower beds and pressure wash the patio area. The results are truly remarkable. The apple tree is now beautifully shaped and ready for the following year, the hedges have all been cleared and the patio looks like new. Andy worked extremely hard and went above and beyond to make sure that the results exceeded our expectations. All waste has been removed and the garden is now very manageable. I have no hesitation recommending DGM Garden Maintenance. "We really don't think you could find a better person than Andy to take care of your garden. Reliable, efficient, tidy and a really nice bloke. Whether managing bigger jobs like relaying sleepers or simply keeping lawns neat Andy always provided great advice and delivered value for money service. Wouldn't hesitate to recommend DGM."